Whether you’re seeking new job opportunities, moving to be closer to family, or just looking for a lifestyle change, moving from NJ to Chicago can be challenging. Because long-distance moves are especially complex, it’s important to choose an experienced moving company with a proven commitment to quality and customer support. With accreditation from the Better Business Bureau and many decades of experience, Simonik Moving & Storage is the company for you. Since 1977, we’ve offered premium moving services to successfully manage household moves of any size, scope, and distance. 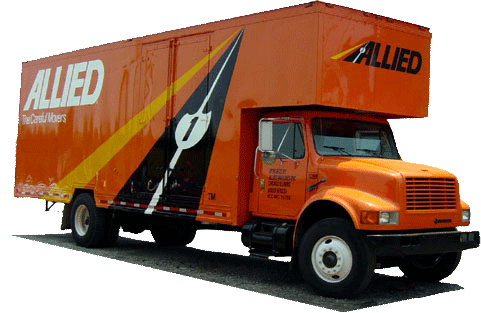 As an award-winning agent for Allied Van Lines, we have access to state-of-the-art technology and a nationwide network of professional moving and storage partners—so there’s no limit to where we can take you and your family! From the very first visit until the last box is unpacked, Simonik Moving & Storage is here for you as a company that can handle all of your relocation needs, big or small. To get started moving to Chicago from New Jersey, a Simonik moving specialist will come to your home for a free in-home estimate of moving costs. You’ll then be paired with an experienced Relocation Coordinator who will be available to answer any questions and handle all details to make this challenging transition easier. To continue our commitment to a stress-free relocation from start to finish, we’re proud to offer convenient and secure storage for any of your household items in our state-of-the-art warehouse facility. We securely pack all household items in specially built long-distance shipping containers. If you end up needing some extra time before unpacking, we’ll happily store your belongings right in their secure containers until you’re ready to receive them. We understand that plans may change as you move from New Jersey to Chicago, and our flexible short- and long-term storage options are designed to suit any need. As the leading local provider of professional moving services, we’re proud to serve households throughout North and Central Jersey including Hunterdon, Mercer, Middlesex, Monmouth, Morris, and Somerset counties. We’ve been recognized as “Mover of the Year” by the New Jersey Warehousemen & Movers Association, and our exceptional services have also earned us ProMover designation from the American Moving and Storage Association (AMSA). Our AMSA membership ensures that we’re up to date on the latest trends, technologies, and requirements for long-distance moving. With Simonik Moving & Storage, your move from NJ to Chicago is truly in the hands of experts. To learn more about how our professional moving services can simplify your upcoming move, call Simonik Moving & Storage today! To get started with a free NJ to Chicago moving estimate, just submit our quick online quote request form now.